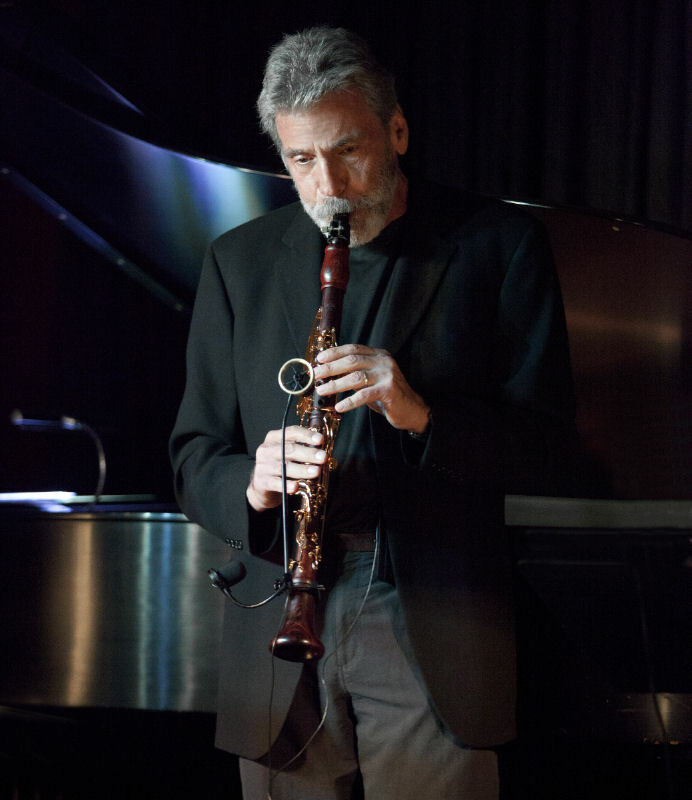 Clarinetist Eddie Daniels’ masterful performance at Vitello’s Friday was – as his appearances often are – a gripping reminder of his instrument’s adventurous jazz past, present and future. For the first half of the jazz century, the clarinet was one of the music’s key voices. Vital to the New Orleans style, a virtual celebrity instrument in the hands of Swing bandleaders such as Benny Goodman, Artie Shaw and Woody Herman, its presence remained high, until it ran into hard times – and diminished interest — with the arrival of bebop in the ‘40s and beyond. A few hardy souls labored on through the forests of bop, with Buddy DeFranco one of the principal pathfinders. Others arrived over the next few decades, with the numbers of adroit clarinetists increasing in recent years. Daniels, who was celebrating his 70th birthday two days earlier, has been producing memorable work – on tenor saxophone, as well as clarinet – since he arrived on the scene with the Thad Jones–Mel Lewis Orchestra in the mid-‘60s. An authentic classical artist as well as a superb improvising musician, the only thing missing from his Vitello’s performance would have been his own unique take on something such as the Larghetto from the Mozart Clarinet Quintet. 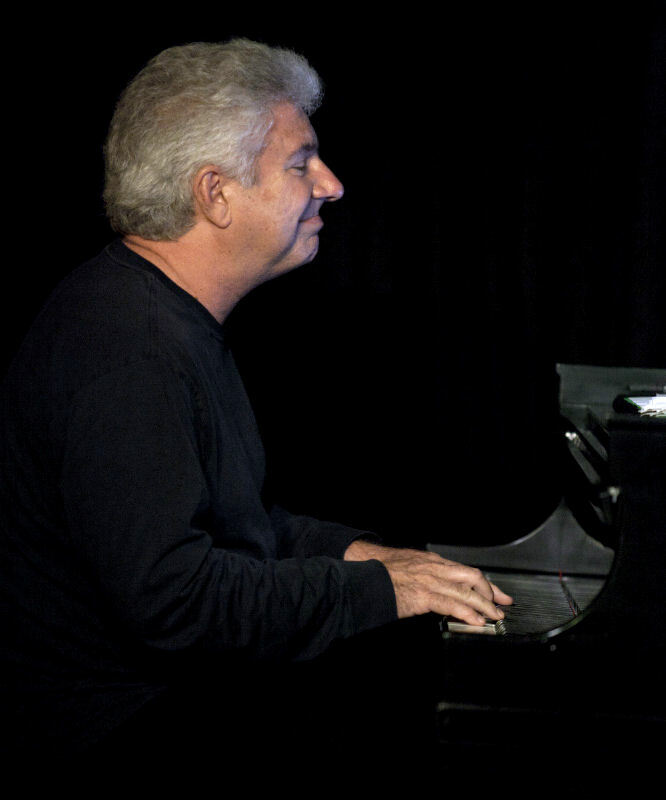 Start with his utter mastery of an instrument whose technical demands more often produce mediocre results than the sort of articulate clarity that Daniels tossed off with almost casual ease. 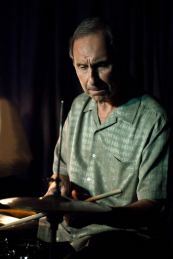 Backed by the confident, interactive support of pianist Tom Ranier, bassist Darek Oles and drummer Joe LaBarbera, he concentrated upon clarinet – except for a pair of jovial jaunts on his tenor saxophone through “They Say That Falling In Love Is Wonderful” and an original Daniels piece that somehow managed to convincingly blend tango with bossa nova. And ultimately it was Daniels’ clarinet soloing that dominated the spotlight – as it should. One fleet solo after another, rendered with an irresistible flow of swing, affirmed his consummate blend of dexterous technical skills and vivid improvisational inventiveness. 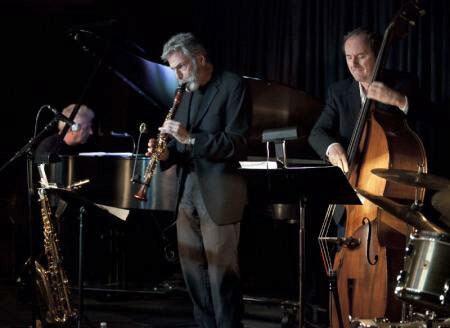 No wonder that, with Daniels in the forefront, the clarinet once again seems to be finding its rightful place in the jazz hierarchy. Photos by Bob Barry. To view more of his jazzography, click HERE.